Following the death of their matriarch, the lives of Chye Hoon's family are turned upside down. Now that the British have fled and the Japanese have conquered, their once-benign world changes overnight. Amid the turmoil, Chye Hoon's daughter-in-law, Mei Foong, must fend for her family as her husband, Weng Yu, becomes increasingly embittered. 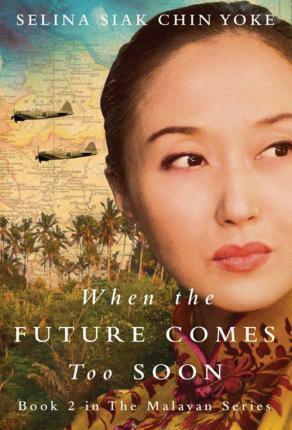 Challenged in ways she never could have imagined and forced into hiding, Mei Foong finds a deep reservoir of resilience she did not know she had and soon draws the attentions of another man. Is Mei Foong's resolve enough to save herself, her marriage, and her family? Only when peace returns to Malaya will she learn the full price she must pay for survival.